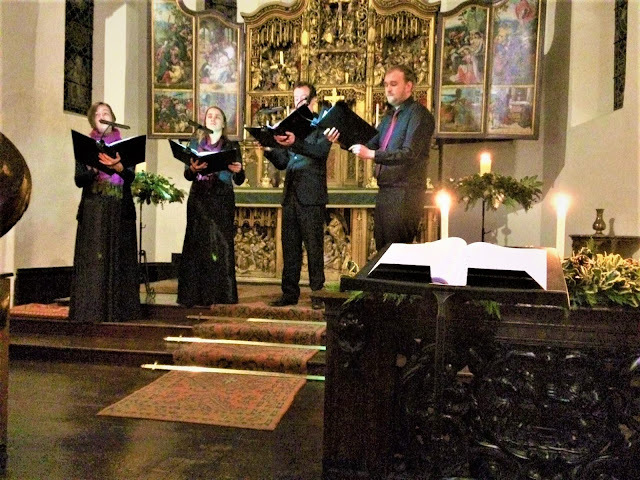 The talented Baroque Choir Eboracum sang the Agnus Dei by William Byrd in a historic hiding place The National Trust house, Oxburgh, England. This house was built in 1482 by the Catholic Bedingfeld family. During the 16th century, England prosecuted practicing Catholics some were even put to death. A priest hole was a small room, often accessed by secret doors and corridors. Here outlawed Catholic priests were hidden to avoid detection by Protestant authorities. The choir Eboracum Baroque combined music and history as they went into the house's priest hole to sing the music of William Byrd. Renaissance composer William Byrd was a committed Catholic, and his music often reflected the hardship of practicing his faith at the time. The Agnus Dei is the final moment of a Catholic Mass setting, asking for mercy and peace. SHARE this Beautiful Music and True History of Catholics!